How well do we know our siblings? How confidently can we say that we know what they would do or how they would react in any given situation? And how much more difficult would that be to judge if you’ve never met that sibling in person? In Bill Oliver’s debut feature, questions of identity are clearly to the fore, but more than whether you can truly know someone through the medium of video messages takes a back seat to the question of how well you can know yourself in those circumstances. It’s an intriguing idea, and Oliver, along with co-screenwriters Peter Nickowitz and Gregory Davis, spends much of Jonathan‘s running time exploring the tilte character’s personality and how it responds when the ordered world it exists in is threatened. Jonathan’s life is governed by rules and responsibility, and his lifestyle is one that he has embraced wholeheartedly because it keeps him safe. John is more outgoing, more likely to indulge himself or be spontaneous, things that Jonathan would never dream of doing. So when John’s relationship with Elena is revealed, it sends Jonathan into a tailspin that, ironically, has him behaving in similar ways to his brother. And in exactly the same way that John kept Elena’s existence a secret from Jonathan, so too does Jonathan keep his relationship with her secret from John. All of this has inevitable consequences, and as the movie plays out, Oliver adds a fine layer of foreboding to the narrative, as Jonathan becomes ever more confused and afraid of where his new-found feelings will take him. 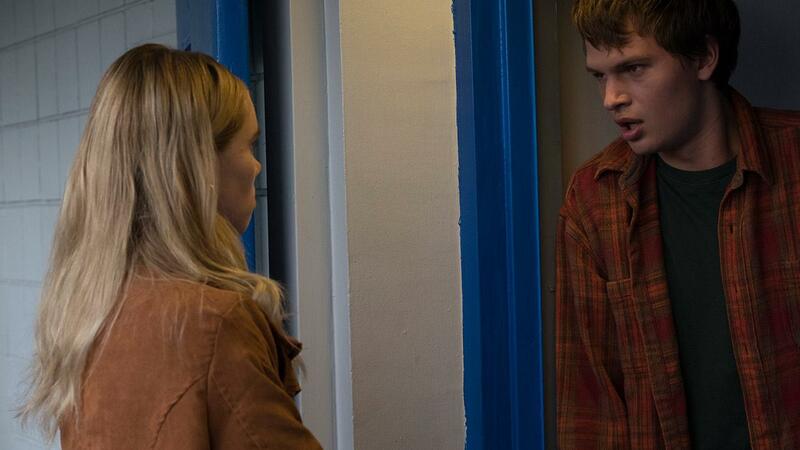 In the title role (and the supporting one), Elgort gives perhaps his best performance so far, tightly wound as Jonathan and unravelling faster and faster as the movie goes on, his initially placid features and economy of movement giving way to expressions of muted horror and staccato bursts of physical energy. 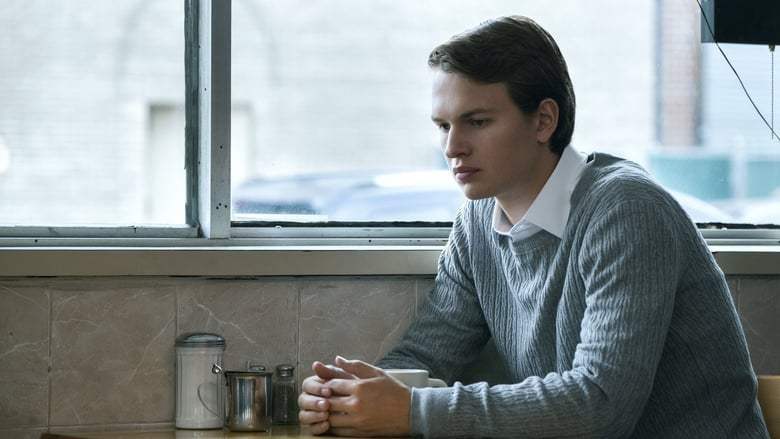 There’s also an emotional depth to Elgort’s portrayal that highlights Jonathan’s dependence on his brother, and which is allowed more and more expression as he struggles to understand what’s happening to him. Oliver keeps the sci-fi elements deliberately low-key, preferring instead to focus on the brothers’ relationship, while also affording time to explore Elena’s reaction to her involvement in a unique ménage à trois, and the motherly affections and attentions of Dr Nariman. As the latter, Clarkson brings further gravitas to the material, while Waterhouse brings a much needed looseness to her character that offsets the serious nature of the other performances. With Oliver opting for a restrained, observational feel to much of the material, it’s not entirely engaging, and there is the sense that we’re looking at a lab rat navigating a maze that doesn’t have an exit, but when Elgort is struggling for a clarity that he just can’t grasp, the movie becomes poignant and more than a little bittersweet. 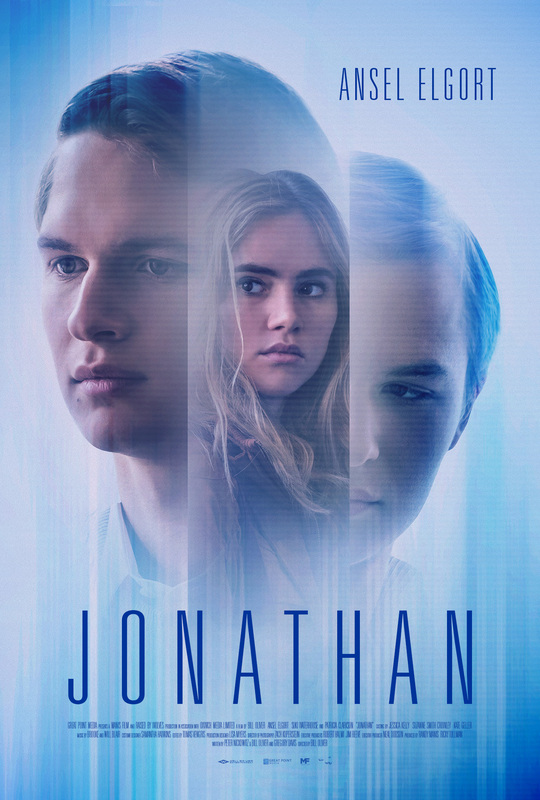 Rating: 8/10 – a polished, thought-provoking drama with an impressive central performance from Ansel Elgort, Jonathan is a low budget indie movie with lofty ambitions that it can’t always attain, but which has a sense of purpose about it that helps it through some of the rougher parts of the script; a neat idea that could have been expanded further, it succeeds thanks to the wise decision not to Hollywood-ise either its romantic elements, or the dramatic nature of Jonathan’s emotional turmoil.